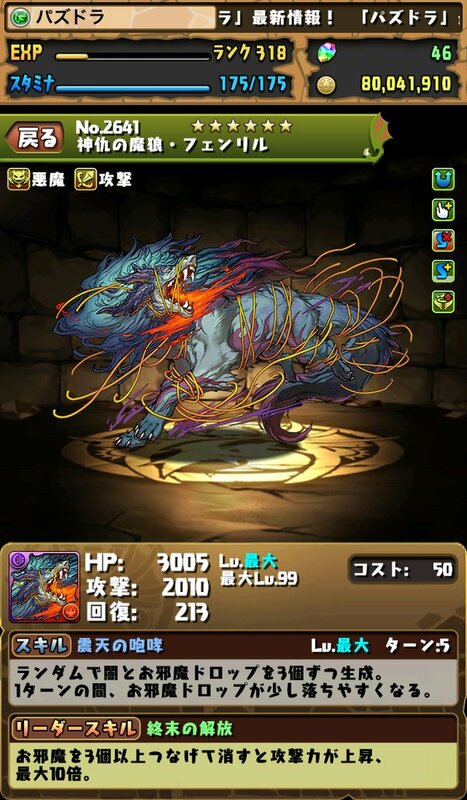 GungHo recently announced a brand new pantheon (Constellation 2) along with 1 more godfest exclusive. All of the Constellation 2 characters have the machine / god typing and the new GFE is devil / attacker. Denebola , Acubens , and Algedi all possess the coveted God Killer awakening (3x damage for that monster versus god type enemies) along with unique actives that randomly spawn 3 orbs of their primary colour along with 3 jammers on 3-turn cooldown. Furthermore, their leader skill is reliant on matching jammer orbs and can scale up to 36x damage for matching leads in addition to reducing damage taken from their 2 elemental colours. The damage reduction is nice, but without more access to jammer producing actives will remain unusable along with only having 36x damage will make them better subs than leads. Denebola can easily fit on an Awoken Shiva due to her 2 two prong awakenings along with wonderfully high recovery for a fire monster. The 3 random jammers can be managed and being able to produce 3 additional red orbs every 3 turns can prove invaluable in triggering an extra combo. Furthermore, ‘s active will be ready to use on the first turn should your board be lacking red and you need to sweep the floor right away. One great combo potential is to use Antares after to convert all the newly created jammers into fire orbs. Lastly, the awakening will allow you to deal lethal damage to god type bosses as you can stack fire two prong matches. Will Acubens make a splash in the meta? Acubens has an impressive 6 awakening with 4 being enhanced water orbs . Unfortunately , lacks both a and water row enhance awakening and pushes him out of a Ryune and I&I team and leaves him with either Sumire or Sarasvati teams. lacks damage output as he caps out at only 20.25x damage and has damage control / stalling issues along with being very orb hungry. 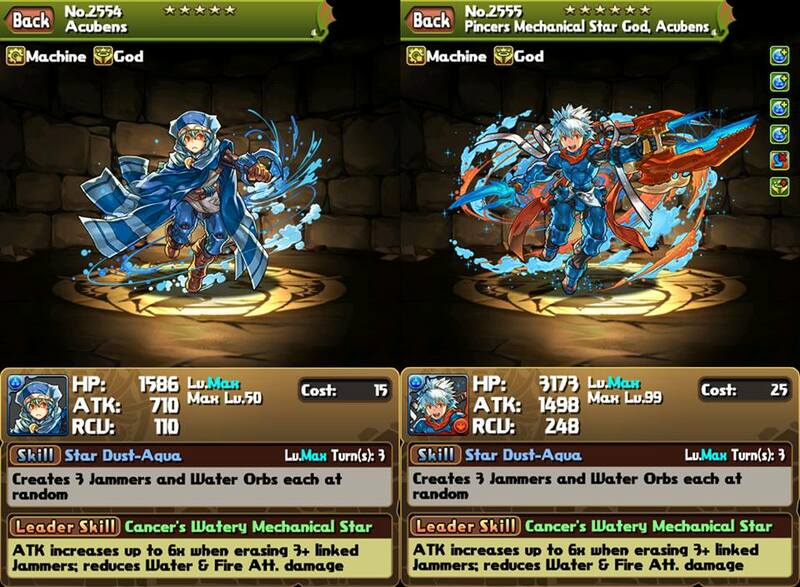 I guess you can use on an Awoken Isis team as he covers the rarely seen water and red elements. You can combo ‘s jammer generation with Alrescha or Scheat ‘s active to transform them into more water orbs. 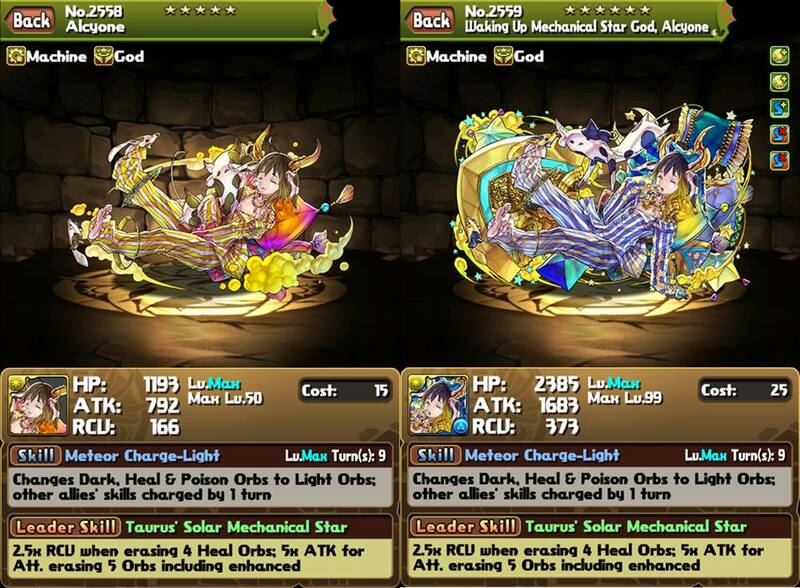 Algedi will feel at home on a Sylvie and Freyja team as you wish to stack numerous wood row enhance awakenings. The low base recovery can be absorbed by the 2.5x recovery mechanic provided by and ‘s high base damage along with her awakening will result in very high burst damage versus god type bosses. The ability to produce exactly 3 green orbs can be used in conjunction with other orb changers to produce a second or third wood row to maximize your burst potential. Furthermore, can combo her jammer generating active with Spica or Australis to transform the jammers into more wood orbs. Overall, will make a strong sub and will only improve when she receives an ultimate evolution. On the other hand, Alcyone and Aries have Greco-Roman god pantheon style actives in that they convert light or dark along with hearts and poison orbs to their primary colour with 1-turn haste. This can be max skilled to 9 turns and the added haste and poison removal makes their actives much more appealing than Apollo who can only converts hearts and dark into light orbs on an 8-turn cooldown. Perhaps this is an indication of powercreep in order to make the Constellation 2 pantheon more appealing to roll, or maybe Greco-Roman pantheon has a buff in the future (and they are with their Awoken evolutions being announced!). In addition, Alcyone and Aries achieve 25x damage for matching 5 connected orbs with at least 1 being enhanced along with 6.25x recovery when 4 connected heal orbs. This completely blows Sumire out of the water (pun intended) in terms of sheer leader skill power as you can deal more damage and instantly heal back to full health with a 4 heart match. Lastly, and start with 5 instead of the usual 4 awakenings for regular pantheon gods. and bring the rarely seen 2 skill lock resist along with 2 of their primary colour enhanced orb awakenings and this grants them amazing flexibility when used as a lead or sub. 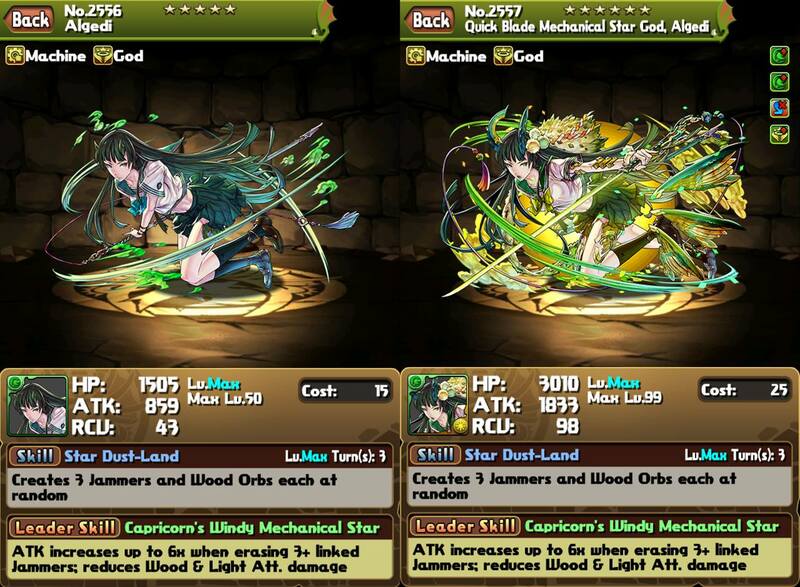 Alcyone will not be the best fit on Saria / Thor teams due to a lack of light row awakenings. However, they may have the situational niche of removing a full board of poison orbs if you are pressed for board refresh actives or if you are in desperate need for more awakenings. If used on an Awoken Sakuya team, is okay, but may overflow the board with too many light orbs, has no two prong attack awakenings, and does not provide additional elemental coverage. As a lead, may be exciting to play as she offers a new playstyle to light teams and having the capacity to instantly back to full health with a single 4 heart orb match makes you somewhat immortal if you can survive any single hit. Hamal would not be the best fit for an Awoken Yomi team because you will most likely spawn too many dark orbs and be unable to match 7 combos. However, on a Yomi Dragon team, is great as she offers 2 awakenings that will ease teaming building options and the poison removal reduces the dependency on Haku . essentially functions as a poor man’s Eschamali , but replaces skyfalls with haste. Unfortunately, lacks either a or awakening and limits her usage on other teams. When used as a lead, you have essentially an unconditional 25x multiplier and all you need to do is match 5 dark orbs with 1 being enhanced. In addition, you have access to arguably the best colour sub pool and have no restrictions as to what subs you choose to bring compared to . This means you can use the powerful Zaerog Infinity and benefit from his numerous awakenings and dark skyfall buff. However, you can also pair your with a friends as they have the same damage activation requirements. Lastly, the 6.25x recovery on a 4 heart match will make stalling a breeze as it is near impossible to accidentally trigger your leader skill. The new GFE Fenrir looks like a very angry dog and can spawn 3 dark and 3 jammer orbs at random along with increasing jammer skyfall chance for 1 turn. The enhanced jammer skyfall mechanic could be a godsend for those challenge dungeons that feature The Dancing Queen Hera-Ur as you can remove the 99 jammer skyfall debuff. However, if using as a lead, you are required to match connected jammer orbs to reach up to 100x damage (9 connected) for dual leader pairing. This sounds challenging to do until we have more access to jammer producing subs although with the release of Denebola , Acubens , and Algedi , there is some hope. Awakenings wise, has a bit of everything and most notably the god killer awakening. For now, will need at least another pantheon of subs to draw upon for leadership viability. Let me know what your thoughts and impressions of these new gods. I think the new GFE name is Fenrir (from the Japanese FE + N + RI + RU). I’m very interested in Aries for several reasons. #1: As a Yomidra sub, Double orb + poison change with haste with 2 OEs and SBRs relieves a lot of stress on teambuilding. The 2 SBRs allow you to use two subs without them such as Zeus stratios and DIza, the OEs are always nice, and the active can be used as a Persephone + haste which is great since both Yomidras and any Hakus you may be using all cycle each other with the hastes, and the poison change relieves the stress from haku to clear beelzebub boards. #2: As a leader. Aries’ leader skill is pretty much outclassed by Yomidra in every way except that it does not require God types. This means you can use muliple Zaerog infinities as subs without being penalized for it, and the rcv is even better than yomidra’s when matching 4 hearts. I agree that Aries looks the most promising and the double skill lock resist makes team building much easier. 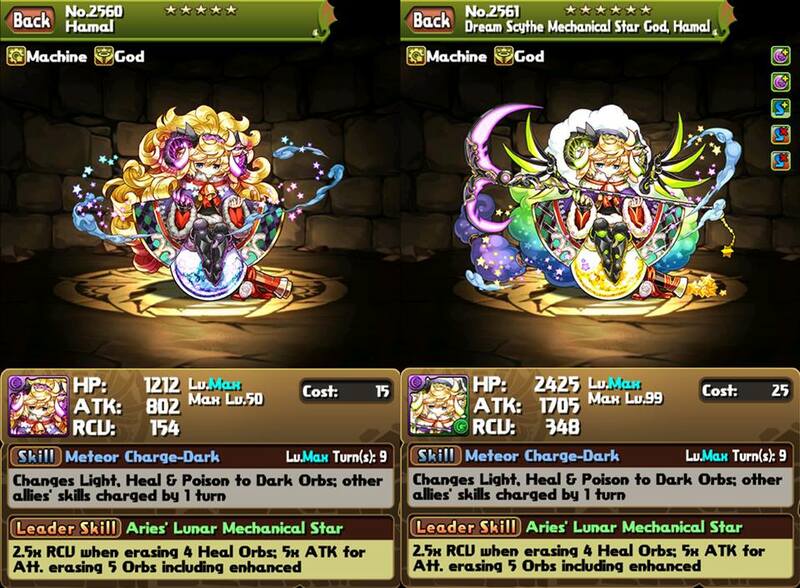 When played as a lead, it will be nice to have any dark monster as a potential sub (mostly thinking of Z8 or awoken Hades as non god dark subs). Your damage may be a bit stressed, but the rapid access to multiple dark orbs should help balance it. isnt aires a perfect Durga sub? Yes she would be =) Although Durga as a lead is falling out of favor as its sometimes hard to bring 2 leads with only 4 awakenings. Furthermore, it can be challenging for Durga to deal enough damage with only 25x multiplier and stalling is hard because you can easily activate your 25x due to her leader skill allowing any 4 of red, blue, green, dark, and heart orbs. 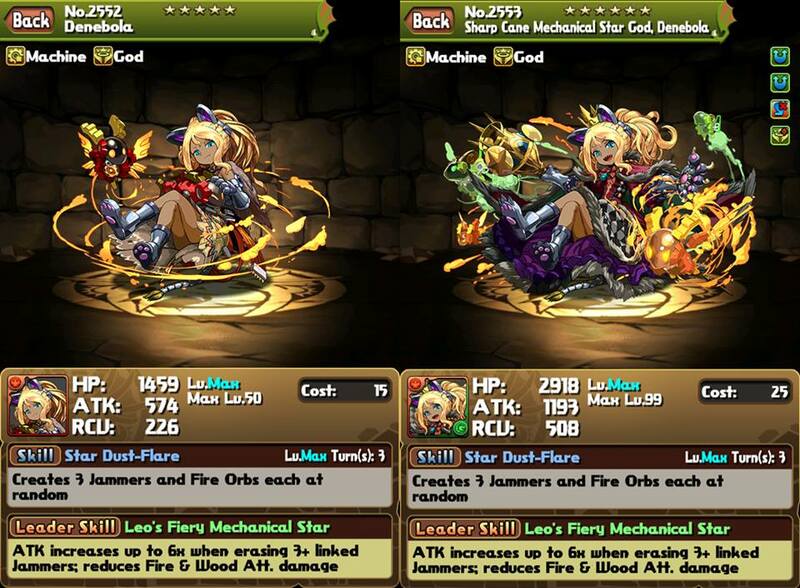 But otherwise, yes Aries would be an ideal Durga sub along with Persephone for double orb changer. Cancer is useful for his counterpart in Constellation 1, Alrescha. 16x Multiplier may not seem like much, but the damage reduction comes extremely handy especially when the major damage dealers and pre-emps in dungeons are not water based. With the recent buff to Alrescha in Jap to increase the damage reduction %, she only gets stronger as a leader. I’m not saying that Alrescha is top tier Arena, but looking at Setsu using Spica to clear all the rushes show that Constellation 1 can take you far in the game. If you use dual Alrescha, you get 16x along with ~50% damage reduction by all elements except water coupled with 4 SBR between the two of them. Add Cancer and you get 5SBR, giving you more sub options that lack SBR but has more dmg aka Nut (4OE, 2TPA, 1TE). The downside to this would be the low amount of skill boosts, but 4 turn Nut and 3 turn Cancer should compensate for that. That is a very good point you bring up Salmonella! Provided the dungeon has minimal water based bosses, you effectively have 2x HP / 16x ATK / 2x RCV (as you need less healing to restore your health) so being highly plussed goes much further. The only downside I can foresee is a lack of extra damage enhancing awakenings as enhanced orbs do have diminishing returns compared to TPA or rows. Also, do keep in mind many teams can clear high level content when they are all pentamaxed along with being in the hands of a skilled player. But thanks for the detailed and well thought out reply! Even without the full multiplier activation, fenrir will still hit crazy hard if you trigger enough jammers. I am not sure if I prefer more GFE or new pantheons. The GFE is geting a little crowded tbh.